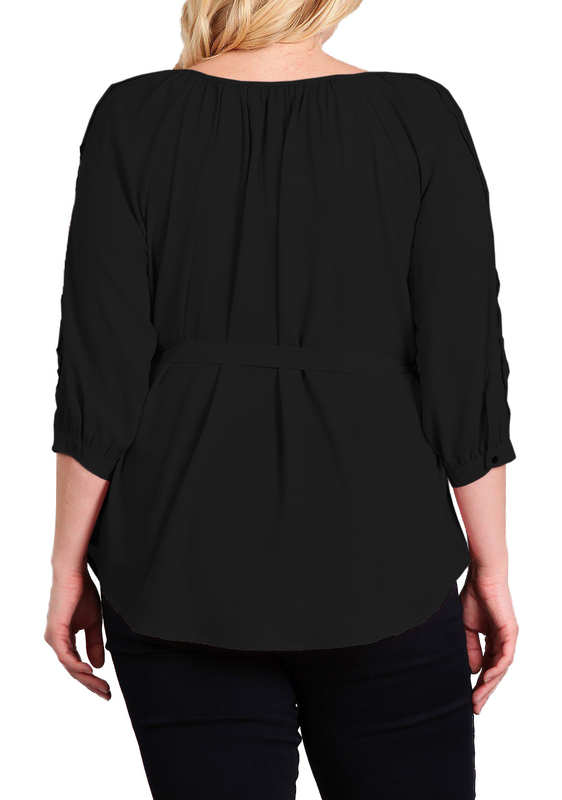 Plus size tunic top features a relaxed fit with a round neckline. Three quarter length sleeves with cut out openings, Front waist tie. Hi-low hem. Available in 1XL= Size 13/14, 2XL=Size 15/16, 3XL=Size 17/18.